Whatever you think of Fallout 76, it’s fair to say that it hasn’t had the easiest launch window. 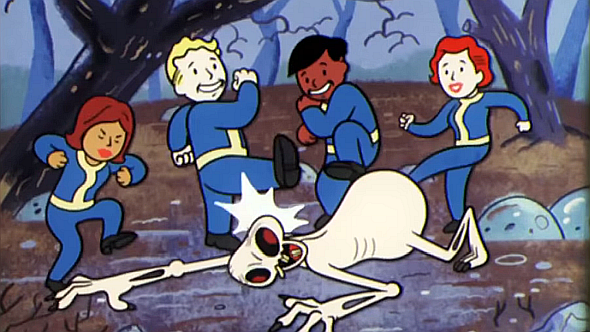 From a set of review scores nearly unheard of for a major studio’s franchise release to a series of price drops just days after release, I don’t imagine Bethesda are going to look back on their time in West Virginia particularly favourably. It probably comes as little surprise that several players have been trying to get their purchases refunded. One of those attempts looked to have been successful, until Bethesda apparently changed its mind. Reddit user ZPKane says they were promised their money back, but Bethesda later claimed that they were “no longer eligible” for a refund. In a post on Reddit, ZPKane says they asked for a refund on PC, on the grounds of ongoing performance and connection issues. According to that post, Bethesda replied to the request saying that while “we do not have the ability to begin processing that refund for you right at this moment,” “we’ll begin processing the refund as soon as we can.” So far, so good. Bethesda’s refund policy reads that physical items can be returned within 30 days of purchase as long as they’re in new, unopened condition. ZPKane’s purchase was digital, however, and on that front Bethesda says that “if you want to download digital content within the 30-day cancellation period [granted by the EU for those living there], you must agree to waive your cancellation rights.” That seems to mean that you can refund the game as long as you haven’t downloaded it, but if you’ve actually played it there’s very little the company will do for you. We’ve reached out to Bethesda for an explanation of their refund policy and official comment on this story. We’ll update this article when we know more.